Counting down to Christmas with 24 Days of Random Acts of Christmas Kindness is one of our favorite parts of the year! A lot of the kindness acts that we’ve been doing are ones that we do many times throughout the year, but leaving a popcorn surprise for a stranger on our Redbox machine was brand new to us! I first heard about leaving popcorn from FCUBED and thought it was fantastic! It is also super easy! We bought microwave popcorn packets and taped our free printable RACK’d cards to the front of them. We brought packing tape with us and used it to tape the popcorn to the side of the Redbox machine. These simple acts of kindness may not seem like a big deal, but they really can make a difference in someone’s day. The surprise of finding that someone you don’t even know left something for you changes your entire day. It also makes you want to do something nice for someone else. The more people that intentionally want to spread kindness the better off the world is–sometimes popcorn is a big deal! I was excited to be asked to join in with Stacy of Kids Stuff World’s 31 Days of Spreading Joy event. 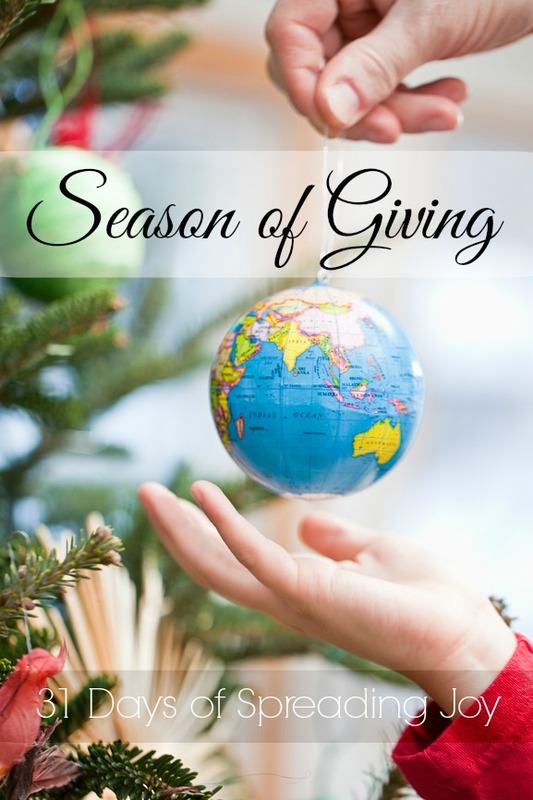 Each day this month bloggers from around the world are sharing easy ways you can spread joy. Make sure to jump over to her 31 Days of Spreading Joy calendar to see all of the posts shared so far! YES!!! Life can feel so overwhelming sometimes and the ability to change someone’s day with kindness is so powerful! Thank you so much!!! It was such a pleasant surprise to come out of work today and find the candy cane and note on my car! Thank you! Have a very Merry Christmas! Stephanie it wasn’t me! 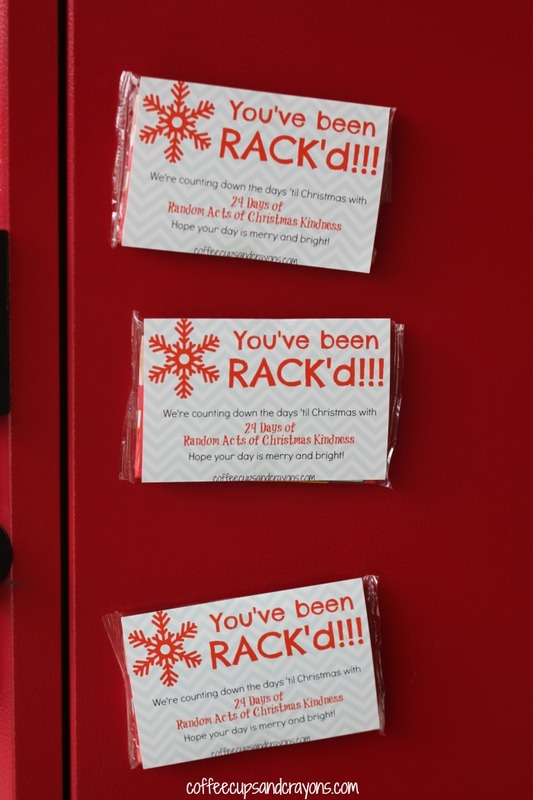 Someone else must have used my cards to spread some cheer! How fun!!! I can’t wait to do this with my kids!!! Thank you sooooooooo much!!! 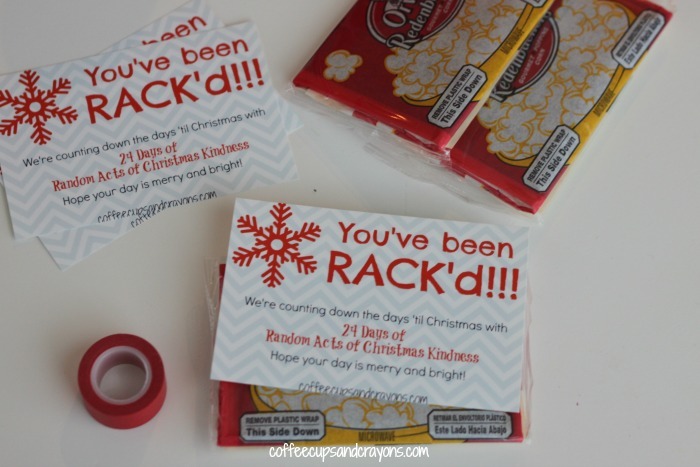 This popcorn idea and the Rack card is something I wouldn’t have thought of……love it. Often on a Sunday after returning from church, we bake a dessert or cookies, put some on a pretty paper plate, take to someone we know just to say hello at their door. This is one of my favorite things to do on Sunday to think of others. I did the candy cane random act of kindness with my kids last year and when we were out yesterday, they saw the candy cane display at the store and asked if we were going to do it again this year! They had so much fun and we will definitely do it again this year! I think we will also plan to do the popcorn version as well but hand them out as people rent just so they don’t all get taken at once! 🙂 Thanks for all the wonderful ideas! !